The Godfrey Public Relations Account Manager is an experienced and energetic person who has the desire and ability to conceive, sell and execute high-impact public relations programs for business-to-business and business-to-consumer clients in a variety of industries. Superior planning, writing, client- and media-relations skills, plus sales and presentation ability, are essential. Degree plus five or more years of relevant experience required. The Hospital and Healthsystem Association of Pennsylvania (HAP) is seeking a team-oriented Director, Online Communications. This position is responsible for developing and maintaining the association’s online communications strategy in support of the organization’s goals. 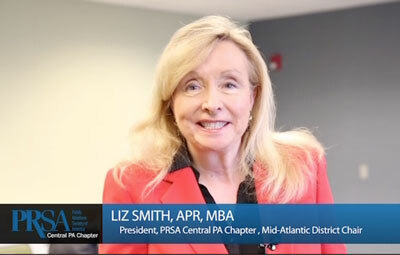 The Director, Online Communications, manages the association’s website, including content development, analytics, and integration with other social media platforms. The director works with association staff to promote hospital issues and advocacy messages, and communicate critical hospital and health care information to members and the public. This individual will work closely with a communications specialist on day-to-day postings, editing, and analytics reporting and interpretation. The position also includes the production of certain association e-publications, writing, editing, basic desktop publishing, distribution, and tracking. Candidates for consideration must have a Bachelor’s degree in communications, public relations, or a related field. Master’s degree is preferred. Individual should have five to seven years of website management experience and be proficient in the use of content management system software. Background in health care or trade association setting is beneficial, and some supervisory experience is preferred. Candidate should possess a high level of proficiency in search engine optimization and Google analytics. Strong social media and analytics experience is critical. Experience with digital community advocacy a plus. Strong customer service skills and ability to work collaboratively with HAP staff, members and external publics are a must. EEO Employer F/M/veterans/disabled are encouraged to apply. To apply, please submit your resume to Kim McCoy at The Hospital & Healthsystem Association of Pennsylvania, 4750 Lindle Road, PO Box 8600, Harrisburg, PA 17105-8600. You: Smart, articulate communicator, attune to one or more innovative areas in strategic communication, seeking to work in a diverse, energy-filled environment to teach bright, motivated students. Us: One of the top communications schools and college towns in the country with plenty of resources to say “yes,” faculty who collaborate and are at the top of their game in and out of their classrooms, and where students seek competence, confidence, and connections. Full-service advertising agency located in eastern PA is seeking a seasoned public relations veteran to assist with a campaign that will run in tandem with an upcoming 2015-2016 ad campaign and a rebranding launch for one of our national manufacturing clients. This is strictly a B2B campaign; no social media is required. We will use traditional print media, including national trade journals and magazines within the industry as well as broader-based business magazines and journals. The campaign leads up to an international industry trade show in late spring of 2016. The assignment includes developing and networking with trade media contacts and business news editors. We want to create awareness of the company’s new product launches and its unique corporate culture. Excellent organizational and professional writing skills are a must. Please respond with resume, writing samples, and examples of similarly successfully executed campaigns. Please explain in detail how you bill and give us your contract rate, open rate, hourly rate and retainer. Are you looking to take your experience in Corporate Communications to the next level where you will have global exposure? Harsco, a Fortune-listed diverse manufacturing company with some 13,000 employees in nearly 40 countries, is seeking an experienced Corporate Communications Specialist to join our dynamic team at our global headquarters. In this highly visible position, you will have the opportunity to use your mastery of the written word to plan and execute internal and external communications materials, events, initiative and special projects that support and promote the Company’s positive brand image and engage the global workforce. Working in close collaboration across departments, divisions, and countries, you will have ample challenges to exercise your writing, editing, and organizational skills to create a wide range of communications in print, social media, web, video and live media delivery vehicles. You will oversee and maintain the Company’s public and internal websites, assist in expanding our use of digital media communications, and act as communications internal consultant to business units and functional groups. You will also coordinate major special events and you’ll act as Harsco’s representative in community events. In support of our charitable giving program, you will produce advertising and related materials. In this small department, you will provide some light administrative support, as well, such as preparing correspondence, processing press releases, making travel arrangements, and preparing expense reports. Widener University Commonwealth Law School in Harrisburg, PA, seeks a communications manager to increase visibility of the law school with successful news media placements, compelling website content, and engaging social media tactics. The communications manager will also write for the law school magazine. This position is ideal for a professional with a background in journalism. Candidates should have excellent writing skills, knowledge of digital media trends, social media savvy, and the ability to work under pressure and meet deadlines. Strong photography skills and video story-telling experience are desired. Three to five years of experience required. Apply online and submit cover letter, resume, and three writing samples of news/feature/releases. For more information and to apply, visit www.widener.edu/jobs. Full time in-house position (Harrisburg) with state government agency assisting in the maintenance and updating of 40 + existing websites. Work with other IT and Graphic departments. Experience with Photoshop, Front Page, Expressions, Word, Excel. Ability to multi task in a fast paced environment. Benefits, Insurance, Retirement, Paid Vacation, Holidays. Send resume with URLs of past work to Senate Republican Communications Office. We are Gavin™ Advertising, an advertising, marketing and public relations firm based in downtown York, PA devoted to truth in branding and driving action. We focus on building effective, comprehensive communications and marketing strategies for a wide variety of clients. We’ve been growing, and growing fast. So, we need the right people to join our team. Potential candidates for all positions should thrive in a creative environment and possess a never settle attitude. Should not be offended by “occasional” swearing in the office and have an affinity for the color orange (Pantone 166 C, to be exact). Stop reading now if you don’t meet these minimum criteria. Acting in its capacity as the District center for the Capital Area Library District, seeks a qualified consultant to provide professional media and communications training to library directors, staff, volunteers and trustees in Dauphin, Cumberland and Perry Counties. Recommend Public Relations strategy and manages the day to day activities related to public and community relations on behalf of GIANT Food Stores LLC. Protect the good reputation of GIANT/MARTIN’S while fostering a positive image with our associates, customers and community partners. Main contact for the media and acts as a company spokesperson. Assists in managing budgets within predefined strategy and guidelines.